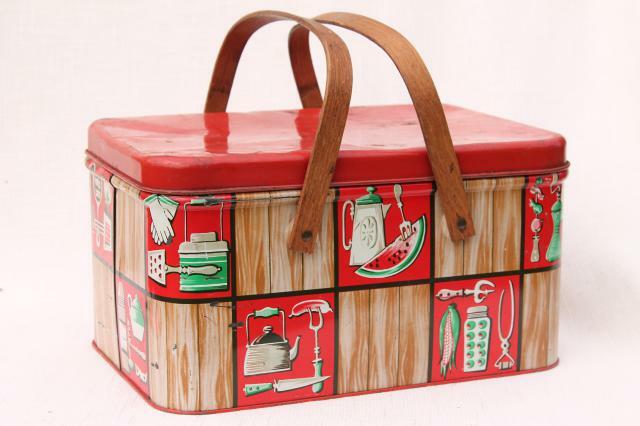 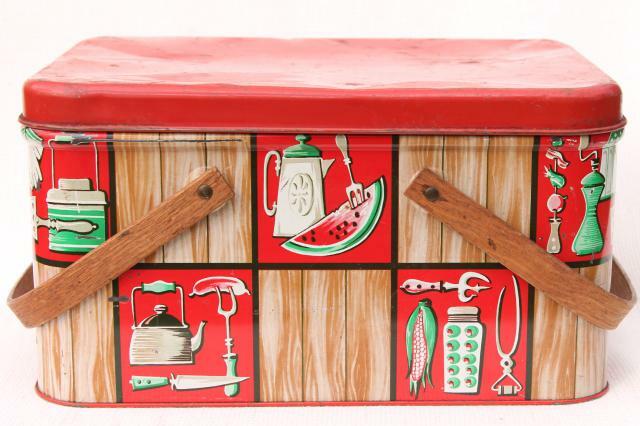 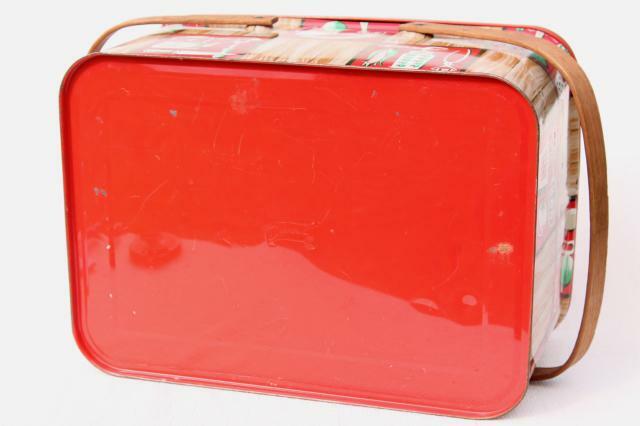 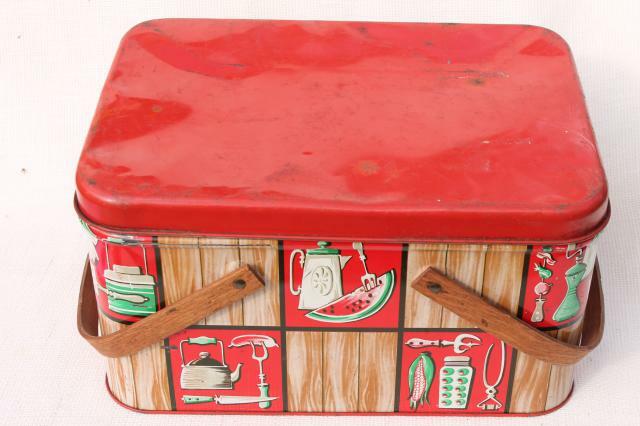 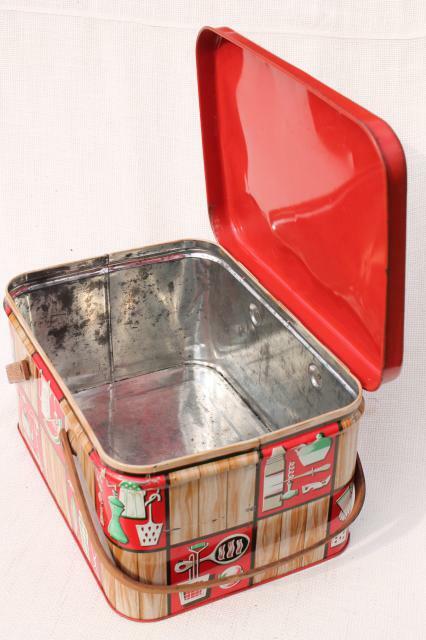 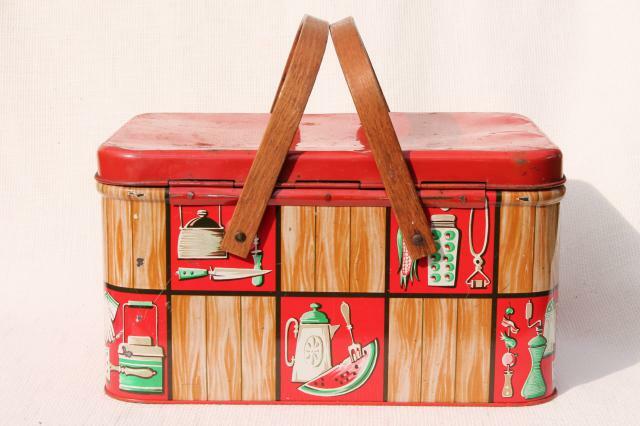 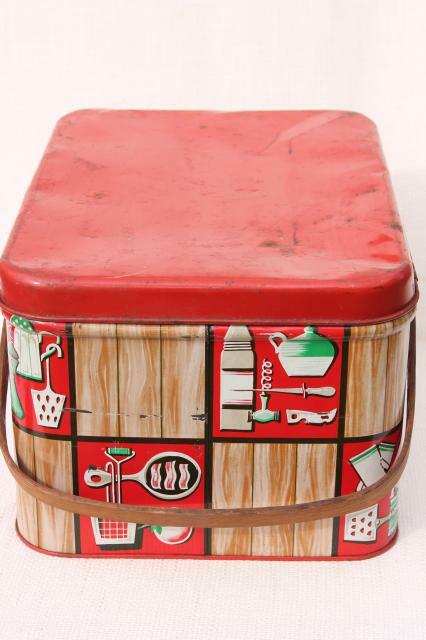 1940s - 50s vintage Decoware print metal picnic tin, a 'basket' with wood handles, cute! 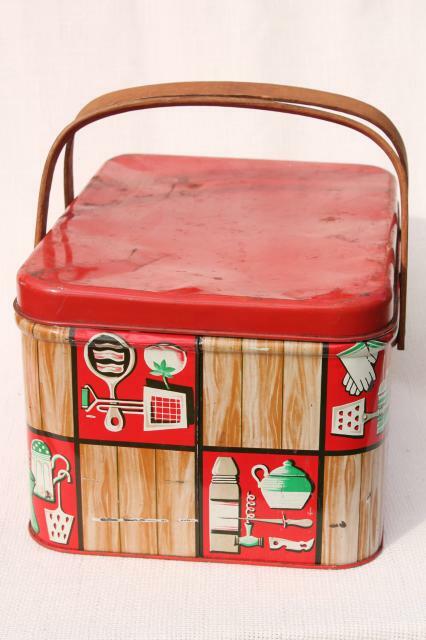 This measures about 14" x 9 1/2" x 8 1/2" tall. 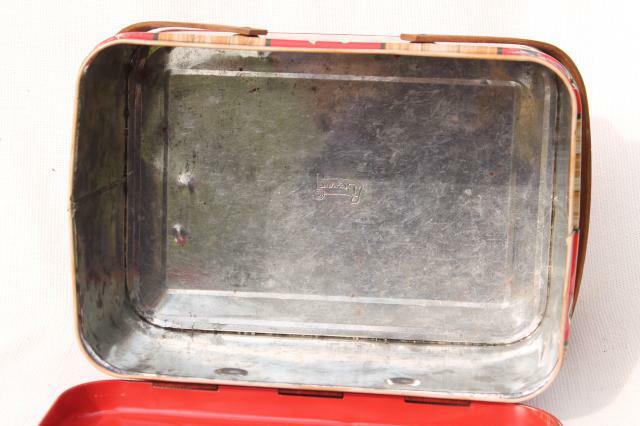 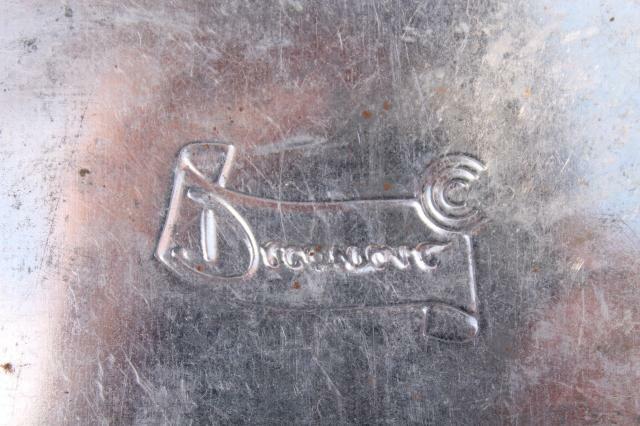 The handles look good without cracks or splits, and the tin has very little rust inside or out.